Summary: 12.1″ Widescreen, Intel Core Duo – Ultra Low Voltage, Less than 2.5 pounds, LED Backlighting, internal optical drive currently active/produced. Note: These prices reflect Toshiba Direct. Retail prices may vary. – With no optical drive, and 64GB Solid State Drive installed, weighs 1.72 pounds. With its ultralight design and stunning silhouette, the feather light 1.72 pound* PortÃ©gÃ©Â® R500 Series is the transcendent expression of executive mobility and style. 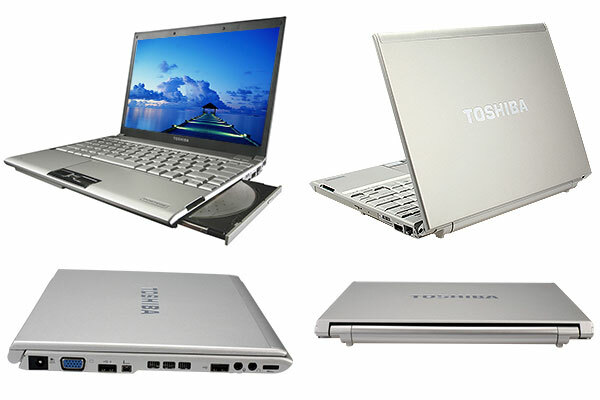 Offering the world’s lightest* widescreen 12.1″ notebook PC in one configuration, and the world’s thinnest widescreen 12.1″ notebook PC with an integrated DVD-SuperMulti drive in another, the PortÃ©gÃ©Â® R500 Series represents an uncompromising synthesis of portability and productivity that’s meticulously engineered for the demands of executive computing. Display: 12.1 inches “Transreflective” LED-backlit LCD. Weight: 2.4 lbs / 1.09 kg (will drop to 1.77 lbs (0.8 kg) when 64GB Solid State Drive (SSD) is offered in place of current hard drive).